The Memorial Day slugfest is back for 2018, as Combo Breaker is underway in Illinois this weekend. This tournament, for me at least, marks the start of the big fighting game tournament rush leading up to Evo. Between this weekend and the big one in August, there are going to be plenty of majors with upsets, rivalries, pop-offs, and hopefully more Majin Obama sermons. But if you’re not into the one-on-one action, don’t fret, there is more to see than just Combo Breaker. Here’s a rundown of what’s going down in the wide, wide world of esports this weekend. 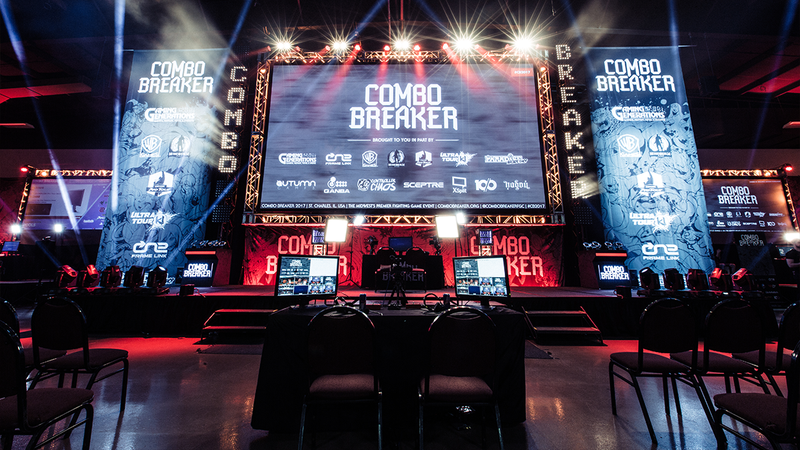 St. Charles will be lit this weekend as Combo Breaker is already underway. Multiple streams and tournaments will be running simultaneously this weekend, leading up to championship Sunday. Your best bet is to check out FGC writer AceKingOffsuit’s handy schedule and see what looks good, whether that’s Street Fighter, Tekken, Dragon Ball FighterZ or maybe even some Killer Instinct to keep with the theme. While the fighting game community at-large is in Illinois, Smash has descended upon Atlanta for Momocon. Hungrybox, Salem, Mew2King, Larry Lurr and more are competing today and tomorrow. Head to the Smash.gg page for bracket details and stream info. We are in week 2 of the final regular stage of the Overwatch League, and the hunt for playoffs is heating up. The kickoff game today is a big one: Seoul Dynasty vs. London Spitfire. Action starts at 4:00 p.m. ET on the Overwatch League Twitch channel. ESL One Birmingham is underway, and the games have been as exciting as you’d want from one of the last majors before The International invites are sent out. Bad news: the official stream is on Facebook, viewable through ESL One’s site. You can also catch a re-streamer on Twitch or tune in via in-game Dota TV though, if you’re not a fan of grandma knowing that you’re spending Saturday morning “watching the Dotas” again. Weekend editor Cameron Kunzelman has infected me with Magic, so I’m obligated to tell you that this weekend’s Grand Prix is in Washington, D.C. and you can catch it on the Magic Twitch channel right now. Keep tappin’ those lands. The 2K League rolls on, as the Celtics take on the Pistons starting now on the 2K League channel on Twitch. Tune in if you’re still hankering for that NBA playoff fix, but in the virtual world. At 3:00 p.m. ET, the Battlerite pro league starts its matches for the day. It’s like a MOBA, but with a lot more fighting and less farming. Check it out over on the Battlerite Twitch channel. Did we miss anything? Wanna shout out your local tournaments? What does it mean for Detroit to become human? Please, let me know in the comments below.